The male connection - aka a spigot - (see picture) fits into an adapter on the end of your tubing. This is common for filters like Stillo, RangeMaster, Bristan Empura and others. The diameter of the male / spigot part is 3/8th of an inch or 9.6mm. If you have an inline filter with a different size spigot - which is unlikely - don't worry, we can supply adaptors. Simply let us know either before or after you order. 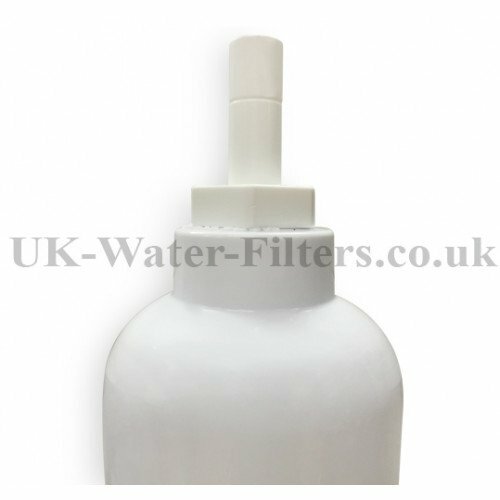 If you are not sure of your exact spigot size you can simply order the filter now and try it out. (It is very likely to fit). If you have any trouble fitting it we will help you sort out the adapters later. We'll send them out immediately. It really is very simple. Simply give us a quick call on 0800 009 6611 or contact us - now or after you order. If you need tube adaptors, they usually cost £4. Please note you only need to get the tube adapters ONCE. Warning; it's more expensive so if you're not too worried about scale - ie the hard white stuff you see in your kettle then just stick with this filter. (Scale isn't "bad" for you. It's only bad for your kettle). 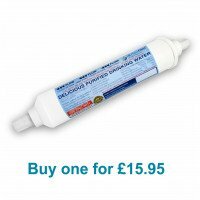 Your filter cartridge will need changing every 6 months. The price of replacement cartridges varies depending on sales and so on. We guarantee a special "customer loyalty rate" of at least the price you pay today. These might cost around £4 - depending on the exact size required. You will only need to buy them once. 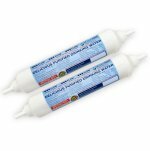 I have been using the water filters for the last five years a good product and a reliable service very good. I find UK water filters easy to use, friendly, efficient and even their free delivery service is very quick, 3 days and I had my products. Have been using 3 years now would not deal with anyone else . Prompt service and a reminder well in advance of replacement date, would recommend. Husband wasted no time in replacing our filter with one of these. We are now continuing to enjoy fresh,clean water for drinking straight from the tap or a lovely cup of Earl Grey/Lapsang Souchong minus the "scum" usually associated with our harsh,local supply. Every drink tastes 100% better with water from one of your excellent filters. Lived up to all claims and surpassed my expectations. Very good product and value for money. Excellent customer service. 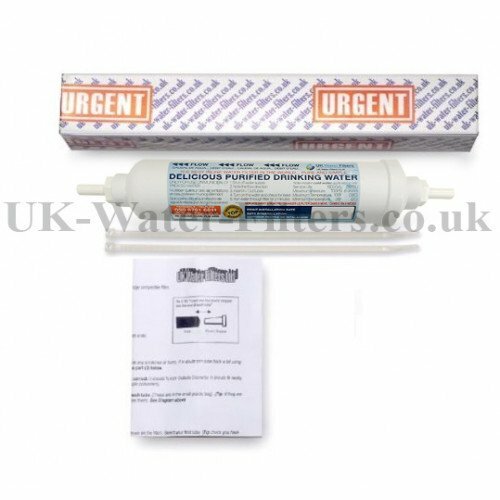 Timely reminder sent to order new water filter and prompt delivery of order. 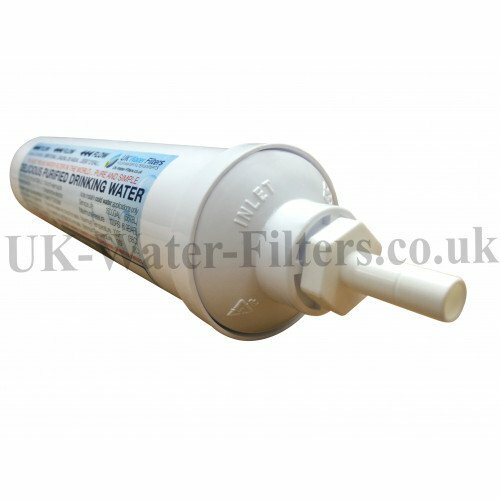 I received a reminder from UK Water filters advising me that due to the length of time it had been used the previous filter I had fitted should be changed. I renewed the order using the link proved and received a new filter within 2-3 days. Excellent all round service. Excellent service. Fitted in Five mins. All as it should be. Two filters for the price of one from the named company. Thank you. This is the second time I've ordered a water filter through the site. Water filter arrived very quickly again and completely satisfied with filter and service. Appreciate the fact the company notifies you of the renewal of the filter. I have always been a gland and spanner man but must admit that the python grips are very easy to use and give a secure joint. Easy to release too. Very helpful when you contact them , quick deliveries would recommend to anyone. Thank you for the reminder service. 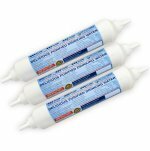 The water filter is not something I think about, but its so important to replace. The re-order process is so quick and easy. Great service from your company. A perfectly acceptable alternative to the Rangemaster filter. Good price, excellent delivery, easy and quick to fit and highly recommended. The water filter arrived ok and I fitted it last Saturday. I was dreading fitting it after the problems encountered last time. Much to my surprise It was a dream, the existing filter dismantled with ease in seconds and fitting the new replacement equally so! I can now relax and enjoy filtered water for the next 6 months. Thank you again for the help and assistance in sorting out my installation issues previously. We renewed our filter twice and and think the filter is great. We even got a recycling refund for sending the old one back. This is a brilliant filter compared to systems other systems that are on the market. Excellent service, had a problem with different fittings, but they sent out adapters at no cost to me. They send email reminders with the replacement order all ready to go. Personal touch with customer communications too. Contacted this company to find a difficult part and they were most helpful, delivered the goods quickly and their communication was excellent. Water filter arrived very quickly and completely satisfied with filter and service. Filters arrived and installed straight away. For a regular diy'er fitting is trivial. Good service, thanks. I've had several filters from this company and everyone is helpful and friendly. The handy reminder email is excellent and it is all round g fantastic experience. x love the follow up calls to remind us to, keep up the good work. 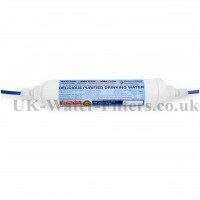 We have been using this company ever since we had our new tap in and are very pleased with the water filter. So much nicer to drink the water when it is filtered. What I find also good is they email to remind you when the filter needs changing and as soon as you order the filter is on its way and with you within just a short time. Very helpful when ordering re advice on fitting etc and even followed it up to make sure everything was OK and asked if I needed any more help! 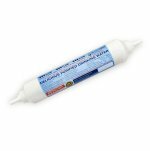 Our water is very soft but it is chlorinated to a level that you can sometimes smell. This would compromise the brewing process if left untreated. Your filter has completely cured the problem and I am very pleased with it. Laboratory analysis at Murphy Brothers in Nottingham has shown that the water emerging from the filter is ideal for my brewing. It's very soft and uncontaminated and can be made to suit any style of beer by appropriate water treatment. It's like a brewer's clean sheet. I would recommend this to anyone who is serious about brewing on a small scale. It's a rapidly growing market and might be worth your attention. I am very happy with the speed with which the filters were delivered. Your web site was easy to understand and use. The filters fitted fine. system makes re-ordering so easy and user friendly. I am very impressed. It assists in keeping up to date with usage and it is so easy to use. Fantastic service. We are on the mailing list and have a filter delivered automatically every 6 months. They are easy to fit and take up hardly any room under the sink. 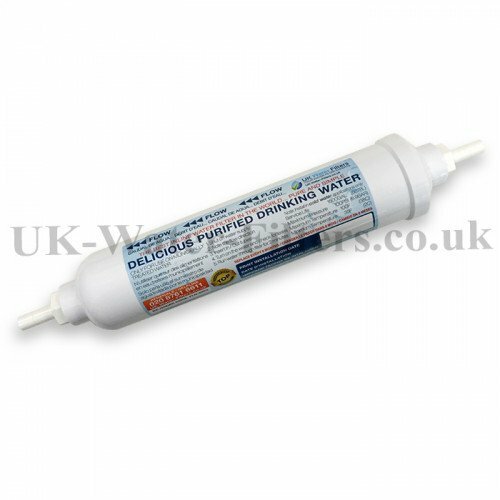 Thank you UK WATER FILTERS for your helpful and friendly service!